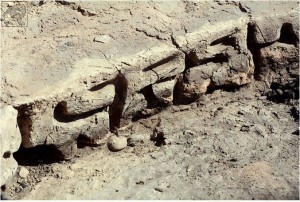 Close up of newly discovered script at Glakliani Hill temple complex (Image credit: Shalva Lejava). Glakliani Hill temple complex, not far from the capital city of the Georgian Republic, Tbilisi, is unique for a number of reasons. It is the only site in the Caucasus region that shows continuous human use for 300,000 years, with multiple layers excavated thus far taking the human story right back into the stone-age. Keep in mind we already have finds of Homo erectus in Georgia that date their presence to 1.8 million years ago. 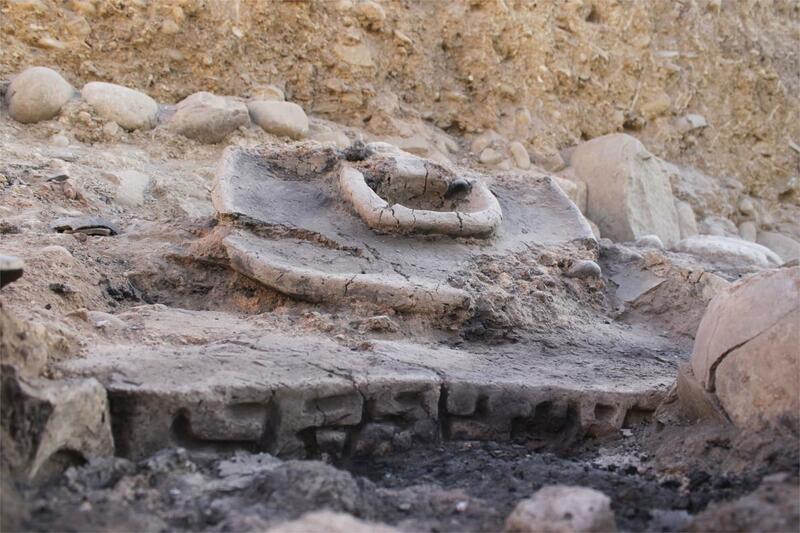 Exactly why this site was a hub for our human ancestors is not yet clear, but what has become evident is that it was a ritual centre for a highly developed Iberian culture, so advanced that it was using written language at least 2700 years ago. The writing is not yet translated, indeed the symbols are totally unknown and have taken written language usage in the region back by several centuries, prior to any cultural contamination by civilizations with already recognised language systems. There certainly has been interaction between the Iberian cultures of that time and other great civilizations, with Greek, Persian, Mesopotamian and even ancient Egyptian artefacts discovered on site. The one thing conspicuous by its absence was a written language, the primary sign of high civilization. That has now changed. The engraved altar at Glakliani Hill temple complex (Image credit: Interpress News). Though the symbols are yet to be translated, being from a completely new and unique language system, it is known that they must be at least 2700 years old, this being the dating for the remaining structures based on pottery shards found on site. We should however be open to this language being older, as pottery shard dating is not an absolute method, it is quite possible that the stone altar engraved with the symbols pre-dates the other material finds, and dating stone artefacts is notoriously difficult. Spread across Georgia, and indeed its neighbouring Caucasus nations, are the remains of a mysterious megalithic culture. Dozens of sites have been located replete with menhirs, mounds, tunnels and even large fortresses in far remote regions. The builders of these sites are a completely unknown culture. In fact there is speculation that two pre-historic cultures were present in Georgia perhaps as early as 5000 years ago or earlier, those that required the protection of the great fortresses and their attackers. It is then incredible to read that it has already been suggested there may even be two unique languages engraved at Glakliani Hill, rather than just one. 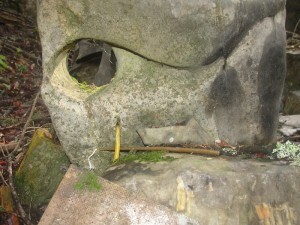 Strange symbol engraved into stone at ancient ruins, discovered by our team in Kharagouli National Park, Georgian Republic. It is my strong suspicion that this site may well prove to be another clue in the E4A team’s research project tracking the long-lost builders of the Caucasus, that this language could be a key to the mystery of the builders. In fact just two days ago one of my research colleagues based in Georgia received information about what may be a lost city, located deep in one of the Georgian National parks. An area replete with strange structures, ruined roads and mounds. It is our hope that by next summer we will be able to mount a full expedition into the area to reveal solid evidence of these vanished people, and potentially date remains and artefacts. This is an exciting update in a riveting real life mystery story. We hope that you will support us in our research by sharing our updates and perhaps donating to any future fundraising campaigns required to properly explore deeper into the forests. Hi Bruce I just watched your interview with Capricorn tv.just fantastic information on this discovery in Ecuador great work.